Hardly any user in 2018 is using the traditional Android messaging app for communication. A majority of users are now relying on services like Whatsapp and Telegram for their needs. To keep up with the new trends Whatsapp has just introduced a new feature for their application. The feature about which we will be talking today is “Swipe to Reply” and is available on iOS platform for ages now. So without wasting a moment let’s know more about it. Image showing the announcement of Swipe to reply feature. 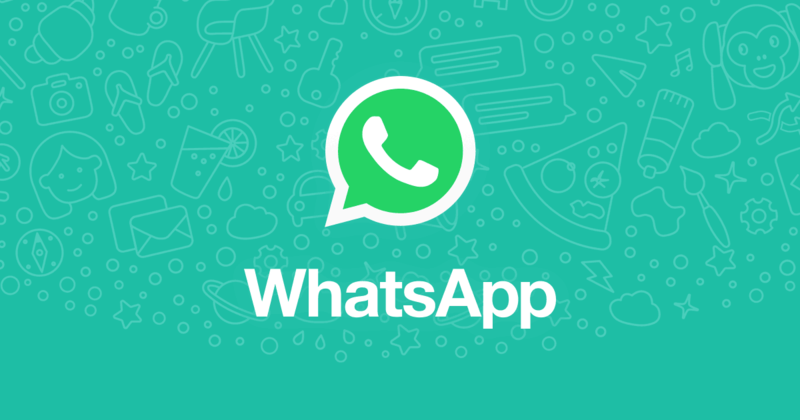 Recently Whatsapp came into headlines because of the upcoming Dark mode. This mode is supposed to increase the battery life of a device having an OLED panel. 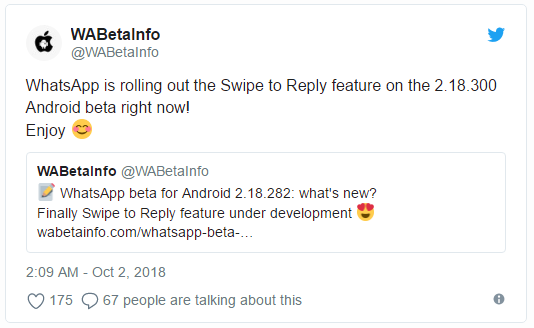 And, Swipe to reply for Android is in development for a long, now luckily the feature is available to use through the fresh Beta update. For more in-depth information about apk just search Whatsapp Beta 2.18.300. The feature is simple and helps in making your workflow faster. Having this feature allows you to simply swipe a message to reply it. It is a simple yet meaningful feature which in daily user will save a lot of your time. The only way to experience it is by downloading the fresh Whatsapp Beta 2.18.300.